Don’t forget if you want the best IPTV experience to use a dedicated VPN from a quality provider by clicking HERE. 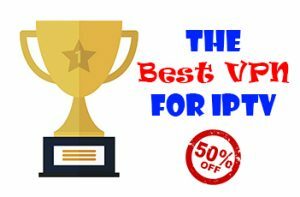 We also have a deal where you can get a LIFETIME DISCOUNT of 50% OFF using the code IPTVBLOCK50 you can. We have some great news we have just released our new app which you can download for free and use on your android based devices such as a firestick, fire tv, android tv box, and android smartphones. 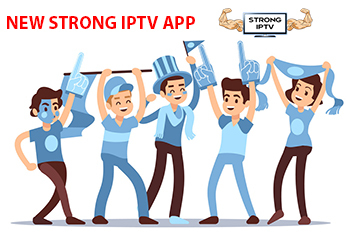 Ok, first things first to install the new Strong IPTV app you will need to buy a subscription here to make sure you get the best quality IPTV channels from us and also the app will not work without a subscription. Once you have got your subscription its time to get your hands dirty and install the app which is easy to do compared to a lot of other apps out there. First of all, you will want to open the email you have been sent which will have your username and password or if you do not see the email do the below to see your username and password. The easiest and fastest way to see your username and password is by checking the welcome email you got which will contain your username and password you choose. If you do not see this email then follow the bellow to reveal your username and password. 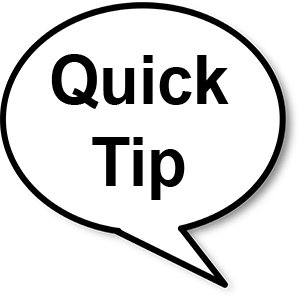 You will need to log in to your customer area then click on the box that says your active products and services. Then on the next page click on the green button that says IPTV service details. Now you will see your username and password under the My IPTV Subscription Details section. You will also need to click on show to reveal your password. 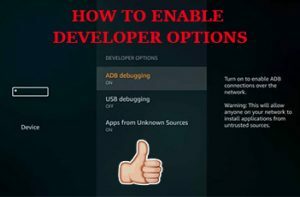 Ok now that you have the username and password lets look at how to put our app on your android device the first part will cover how to install the app on your android tv box or your Android smartphone or tablet. 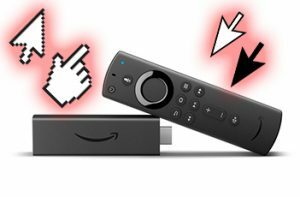 Then the second part will explain how to install the strong IPTV app on your firestick or fire tv. First what you need to do is press the home button on your remote then press left to go to the little magnifying glass on the left hand side now type in the word “Downloader” and you will see it below where you are typing just click on it and you will be taken to the Downloader app it has a big orange icon. Once it has installed you can then press down on the remote and choose to open it. Once you open the app you will see the below so you just need to enter your username and password from the welcome email or your customer area. 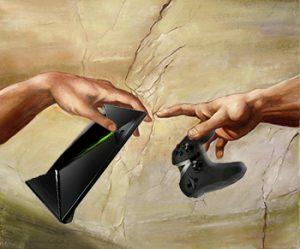 If you want the ultimate IPTV experience we recommend getting an Nvidia Sheild and following our Nvidia Shield Guide HERE it will blow your socks off with everything it can do and more. It’s definitely the best android tv box there is and will remain that way for the coming years. Now that you have logged the first thing you will want to do is click on install EPG to download the TV guide and then you can press back and go to Live TV then pick a category and voila you now have installed our new IPTV app so enjoy. 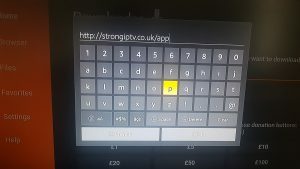 If you are using an android box or tablet/smartphone you will want to go to your web browser such as Google Chrome and then type in this web address strongiptv.co.uk/app which will allow you to download and install our Strong IPTV app. 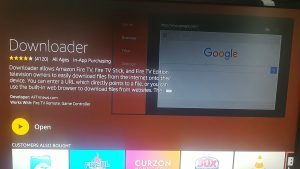 Alternatively, you can click the link above and download the apk and put this on a USB then plug the USB stick into the Android tv box and install the app this way. 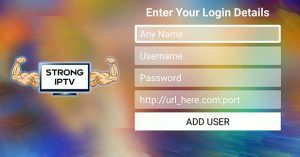 Then you will just need to go in your apps and find the Strong IPTV app then open it and enter your username and password to enter and enjoy our great IPTV.